DUBLIN 2, Ireland, 16-Oct-2018 — /EPR FOOD & BEVERAGE NEWS/ — Glancing through the dairy segment of retail aisles in Europe offers a clear comparison of preference for halloumi cheese than other cheese varieties. According to a Fact.MR study on halloumi cheese market, 76% of modern trade outlets and 92% of online grocery retailers had halloumi cheese in their offerings. Ease of availability is a key factor that has led to an increase in halloumi cheese sales worldwide, particularly in Europe. The Fact.MR study includes an analysis on the sentiments of retailers who did not have halloumi cheese in their product offerings – nearly 48% of the Eastern European retailers mentioned ‘increased customer enquiry’ about the availability of halloumi cheese over the past two years. Furthermore, not only has the consumer base increased, but the per capita consumption has also surged in Europe. 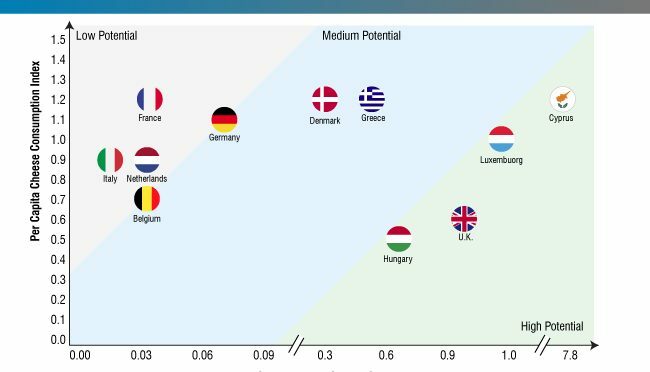 Apart from Cyprus, which is a clear outlier in terms of per capita consumption of halloumi cheese, average consumption in Europe stands slightly less than a pound per year. Along with increased consumer base and per capita consumption of halloumi cheese in Europe, there’s an another dimension that plays a critical role. “It’s the variety of specialty and halloumi cheese which consumers are inclined towards. “Organic” has become another buzzword these days, which is mostly due to increased health consciousness and lifestyle changes among consumers, says Mr. Shambhu Nath Jha, Senior Consultant at Fact.MR. “The selection process of grocery products has widely changed among several consumer clusters, as they are moving away from lucrative offers toward products with added health benefits. Labels and certifications on cheese products were not as important to consumers earlier as they have become now,” adds Mr. Jha. One of the key reasons for increasing demand for halloumi cheese is its increasing presence on e-commerce shelves. This has had a significant impact on awareness about the product. 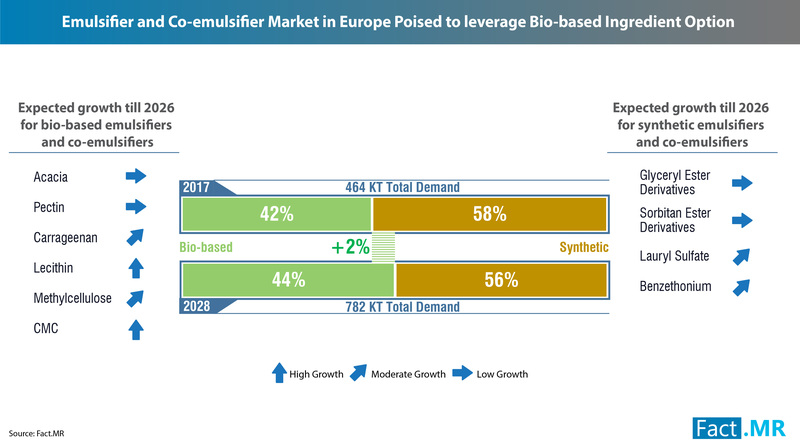 “Specialty online channels are gaining popularity across Europe, owing to significant consumer demand for specialty products from Tier II and suburban areas. Online grocery retailers have broadened the access of their offerings to reach a wider demographic. The ease of access provided by online channels has led to the multi-dimensional growth, which has augured well for the prospects of halloumi cheese producers,” opines Mr. Jha. Halloumi cheese has been growing at double-digit growth rate through online retail, and it is further expected to increase in the years to come. Developing countries, especially India and China, have gained significant traction in the online grocery sales and due to this, several cheese manufacturers and traders have partnered with specialty online stores. “The reason halloumi cheese sells like hot cakes across Europe is because it’s so moreish. However, a question even avid consumers ask is, “It tastes so good, but can it, in some way, be healthy? And, the answers are encouraging. Halloumi cheese is an excellent source of calcium and protein, and moderate intake can be advantageous,” says Mr. Jha. Halloumi cheese is native to Cyprus, however, the surge in its demand globally has encouraged the local dairy producers in other European and non-European countries to produce it domestically. As a result, foray of new players has been witnessed in the halloumi cheese market. The burgeoning demand for halloumi cheese in Europe, especially in the UK, has catalyzed efforts to implement a genomic scheme to boost production in Cyprus. “The way forward for greater halloumi production is industry-institution collaboration,” concludes Mr. Jha. All alpine flavors are in your plate! This cooking classic, right off our mountains and revisited by the winter tourism, offers all cheese aromas combined with exquisite delicatessen. All these excellent products are locally made: ham, cooked or raw, all sorts of sausages, Savoy rosette or Italian coppa, pancotta and mortadella. Switzerland is also in the spotlight here: Grisons meat – or Bündnerfleisch – is an excellent pick too! To better serve you, “Boucherie Charcuterie Favre”, located in the very center of Modane, offers you the best of its products! As a specialist of cured meats, we suggest our ham and beef or pork meat, smoked or dried. But don’t forget vegetables! Onions, pickles, green salads or tomatoes gracefully combine with delicatessen and cheese to help facilitate digestion. Mixing ingredients and flavors is a real integral part of the game! One of the UK’s oldest and best respected fine food vendors, Forman & Field has always enjoyed providing for discerning palates. With this background, the company was thrilled to receive a visit from the London Mayor, Boris Johnson. Attracted by the unmistakable quality of Forman & Field’s organic foods, catered meals, hampers and gift baskets, Johnson was pleased to wander round the Fish Island premises. With the London Olympics coming up, Boris Johnson is keen to do everything he can to ensure a great experience for both visitors and residents of London. As well as providing a great selection of produce for those looking for something special for the events, Forman & Field is providing all the smoked salmon for the meals the Olympic competitors will enjoy in-flight on British Airways’ business class menus. From classic British dishes such as three-bird roasts – that’s a pheasant in a chicken in a goose – to an all-in-one hamper Christmas wouldn’t be complete without, Forman & Field brings a taste of luxury to many Londoners’ lives. Proud of their reputation for sourcing and selling the very best in traditional British cuisine, they also provide delicacies from across Europe and around the world. During his visit, Boris Johnson was happy to look around the premises, which includes a smokehouse for salmon, packing and processing facilities, and business offices. Anyone who wants to investigate the Forman & Field premises is welcome to drop by to Fish Island, which is close to the buzzing commercial and transport hub of London’s east end. A more simple and convenient way to explore their offerings is via their website, which includes a gift basket range, luxury products, and good quality basics for any table. It is often difficult actually choosing presents for your mother. What do they need? What do they actually like? This problem can lead to the standard last-minute buying of a bargain box of chocolates or a sad-looking bunch of flowers. Of course, your mother will love whatever you give her, but sometimes it is worth going to the extra level to prove just how much you appreciate her. If your mother is a bit of a culinary connoisseur, then you should consider ordering something special from Forman & Field. With a great array of hampers and gifts, Forman & Field can save your Mother’s Day worries and make sure you’re her favourite child. Each pack delivers three uniquely delicious truffles that are guaranteed to have a chocoholic’s mouth watering. There is a 70% cocoa dark chocolate truffle, a pave truffle that mixes layers of milk and dark, and a classic champagne chocolate truffle. Paul Wayne Gregory is one of the country’s most celebrated chocolatiers. These lollies saw him win first prize in the Chocolates category at the Excellence in Food& Drink Awards 2010. The first-class chocolate and caramel ingredients are divine, with an added pop of candy for an extra surprise. Forman and Field are the mail order arm of the salmon smoker H Forman and Son. They’re skilled at picking the best of the best from among British food producers, and customers can order from their fine selection all year round. At Christmas, they bring out a festive catalogue containing all their best Christmas food. This year, they’re offering an extra deal – customers who spend £100 before Christmas Eve will get free delivery on all their orders from January until September next year. Forman and Field only supply the best quality food and concentrate on supplying products made using traditional methods. They’re an ideal choice for Christmas, either when buying presents for family and friends, or when stocking up the cupboards for the perfect Christmas menu. 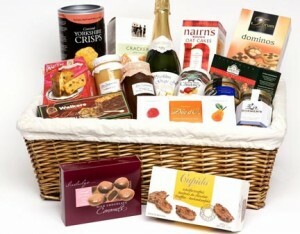 Those who want to buy for others, have several mouth-watering hampers to choose from. The Gourmand Gift Box is a perfect choice, including as it does a range of foods that really cover all bases. For something smaller, the Star Hamper concentrates on the essential food stuffs that everyone needs at Christmas, such as smoked salmon and mince pies. Customers who want to send their family home with full bellies on Christmas Day have lots of options. A multi-bird roast or Seldom Seen goose might make a change from the norm, and turkey lovers will appreciate the free-range Kelly Bronze turkeys. For dessert, there are traditional puddings, as well as more unusual ones, such as the panetone and butter pudding. Extras such as smoked salmon or the more unusual smoked eel should go down a treat too. Traditionally, Christmas is something of a meat-eaters holiday with turkey, gammon and goose all familiar fayre around the dining table. Nowadays, some 11% of the UK population is vegetarian however; throwing something of a carrot-shaped spanner into the works when it comes to the iconic Christmas roast. Thankfully, the gourmet gurus at Christmas Hamper have come up with the perfect solution this holiday season – a range of veggie hampers that make for vegetarian-friendly gifting and dining. “Consumers are becoming more and more conscious about what they put on their plates with regard to whether something is organic, locally sourced, ethically farmed and so forth. “Vegetarianism has been around for some time now and it would be a real indication that we were out of touch with over 10% of our potential consumers if we weren’t to acknowledge this. As well as offering a selection of over one hundred mouth-watering hampers, gift trays and baskets, Christmas Hamper have also become famed for their corporate packages that give businesses of any size the opportunity to customise and create bespoke Christmas gifts for colleagues and clients. “When it comes to corporate Christmas gifts there’s plenty of scope for creativity and individuality but a lot of businesses fall into the trap of opting for something more or less ‘off the shelf’. With only twenty-three days of shopping left to go, things are really starting to heat up for consumers battling against the icy conditions, determined to buy friends, family and colleagues that perfect Christmas gift. Whilst Christmas wish-lists and dropping the odd hint might go some way to help make Christmas gift giving that little bit more straightforward, each year still poses the dilemma – what to get for the person who has everything? Thankfully, gourmet gurus – Highland Fayre – think they’ve solved the problem with their range of luxury Christmas Hampers; jam-packed with festive fayre and other goodies to suit absolutely any budget. “The Christmas rush can become a stressful time of year, even for the most organised amongst us. This isn’t helped when you’re attempting to buy for that fabled ‘person who has everything’ or even someone who’s not sure what they’d like for Christmas. The solutions posed by christmashamper.com needn’t stop there either as the flexibility of this style of gift giving means customers can peruse hundreds of pre-made collections at their leisure, from the comfort and warmth of their home. “As well a buying for people who have everything, there’s often other people on our to-buy for list who we might not know very well but still want to gift to – a child’s school teacher or long distance relative being a good example of this. bespoke christmas hamperschristmas hampersluxury christmas hampersscottish christmas gift hampers. Saturday 2 October saw another successful and very well-attended open day held by Forman & Field. Their east London premises, directly opposite the Olympic Park, were opened to the public, who could attend for free. The fine food mail order company organise an open day every year, showcasing their work. Those who came were able to explore the company’s Fish Island premises and find out about many of the small artisan food producers who supply Forman & Field with their many high-quality products. There were many different things to see and do on the day. Forman & Field’s trademark product, their London Cure smoked salmon, played a big part, with attendees able to see the smoking process from start to finish on a tour of Fish Island. The company’s very own world record holder gave demonstrations throughout the day of his skill in carving salmon, which won him a place in the Guinness Book of Records. The Food Theatre gave people the opportunity to see demonstrations from many independent producers, as well as to hear talks about their work. Then, there was the chance to try and buy at the Producers’ Market. There was a great choice of produce on offer from the Forman & Field family of food producers, with many people buying lots of food to take home as well as taking advantage of the tastings on offer. The British Food Fortnight, which the Forman & Field open day is part of, takes place annually (from 18 September to 3 October this year). It brings together food lovers from across the country, who take part in thousands of different events. Respected fine food mail order company Forman & Field is requesting that online customers make their premium food decisions in advance of the busy Christmas season. Through its simple website, the food delivery firm ensures a reliable process of ordering quality food, gift and hamper options. Forman & Field has been delivering fresh, premium foods from independent, small British producers for eight years and is well prepared to handle the high influx of Christmas orders. 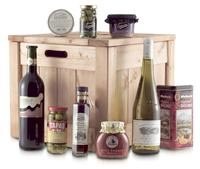 Forman & Field provides a huge selection of food gifts and hampers. Its line of luxury food products includes champagnes and wines, cheeses, foie gras, smoked salmon, caviar, pies, biscuits, cakes and coffee. The company also offers a wide choice of deluxe food hampers for online customers looking to host a special occasion, such as Christmas. There is the Forman & Field Gift Hamper, which offers a varied selection of top-of-the-line food items at great value. The Hamper for Two, with its custom array of fancy food products, can cater to couples looking to spend a highly memorable Christmas together. The Cheese Round gift basket consists of a round of delicious creamy cheese – the Colston Bassett Stilton – chutneys, oatcakes and a bottle of Pinot Noir. Seafood lovers would be delighted to feast on the H Forman & Son’s Smokehouse Crate during the end-of-the-year festive season. 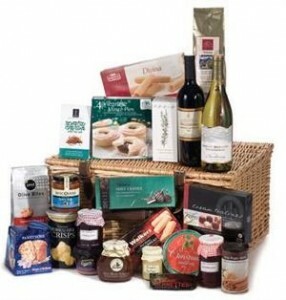 Delectable smoked salmon, tuna and potted lobster products make up this hamper. The Gourmand Gift Box would help make any upcoming Christmas party a success. With its selection of fine caviar, foie de canard, smoked salmon, pâté, L’Artisan chocolates, cider brandy and more, this hamper is all about freshness and quality. Forman & Field has been delivering seasonal, fresh luxury food items to satisfied customers since 2002. The online company shares its east London headquarters with its parent company, H Forman & Son, an eminent 100-year-old family business that provides smoked salmon, caviar and other deluxe seafood items to high-class hotels and restaurants. The company’s online customers truly enjoy receiving a Forman & Field gift hamper. Visit Forman & Field’s website for more information on a specific Christmas hamper or gifts for other special occasions. The Hackney Wicked Art Festival had its third successful year of operation this month, and taking part was one of the local area’s most successful companies, H Forman and Sons. Their premises opposite the Olympic park house the Forman’s Smokehouse Gallery. The Hackney Wicked Art Festival has become a firm fixture on the London summer calendar, despite only having operated for three years. More than 30,000 people are thought to have attended this year, the highest yet seen at the festival. There are numerous art exhibitions, theatre and cabaret performances all over the Hackney Wick area, as well as interactive family events and markets. The emphasis this year, as ever, was on including local businesses and the local community. Forman’s Smokehouse Gallery is open all year round, but it put on a special exhibition for the festival called ‘I see myself there, where I am not’. Rather than being a single artist exhibition, this included ten different artists’ work, all based around a theme – exploring ideas of heterotopias and ‘the other’. The gallery was the venue for the launch of the whole festival on Friday 30 July, hosting a successful opening night with lots of enjoyment to be had by all attendees. The gallery continued to be very popular over the weekend – and not just for the art. After enjoying the gallery, many visitors chose to take in a meal at the brasserie, which operated all weekend, or take home some gourmet foods to enjoy later. Kids loved the family drawing day, where they got to take part in a competition to draw a picture of the Olympic stadium. There is increasing interest in traditional, fine British foods from small producers. Supermarkets dominate the market for food in Britain, but more and more people are appreciating the value of using small companies that aim to produce high quality food using artisan methods passed down between generations. Forman and Field, a London-based mail order food company, specialises in providing this kind of food. Founded in 2002, Forman and Field aim to provide traditional foods from small British suppliers in an ‘online farmers’ market’. Their suppliers all use high quality ingredients and traditional recipes and methods. The company is part of H. Forman and Son, a traditional salmon-smokers and supplier of smoked salmon, other fish and seafood to some of the best restaurants and chefs in London. H. Forman and Son is a family business in operation in East London since 1905. Many people have an unfounded, poor view of British food, and Forman and Field seek to rectify this. They provide a wide range of traditional foods, which would be regarded by many as among the finest in the world. The company is committed to ensuring that traditional methods of production survive. The salmon smoked by H. Forman and Son is a good example, using their famous ‘London Cure’, a recipe invented by Harry Forman, the company’s founder, in 1905. Many of their suppliers use similarly traditional methods to produce their products, and many have been recognised by various awards. Now that the UK general election has been and gone, it’s time to think of something other than politics. Yet politics have always gone hand-in-hand with a few porky pies, so it’s perhaps apt to turn our focus to more gastronomic issues. Traditional British Pork Pies are one of life’s simple pleasures, and Forman & Field provide the solution for those looking for some of the highest quality local produce. Widely regarded as the country’s leading supplier of fine food by mail order and online, Forman & Field stocks Traditional Pork Pies f r o m Norfolk made by Silent Partners f r o m gloriously tasty pure breed Old Spot Rare Breed porkers. These handmade traditional pies are perfect for a cold lunch or starter. Another choice recommendation for fans of good ol’ fashioned porky pies is Mrs King’s Pork Pies: genuine, thoroughbred Melton Mowbray pork pies. Speaking of simply delicious pies, pie addicts are sure to go pie-eyed over Forman & Field’s range of Simple Simon’s Pies. Made with the freshest, natural ingredients on shredded potato encased in flavoursome pastry by chef Bernard Alessi, these pies come in a wide variety of new and exciting flavour combinations. The value-for-money Best Sellers Selection Pack contains 1 x Organic Beef & Mushroom, 1 x Chicken and Tarragon, 1 x Smoked & Fresh Haddock with Creamy Leeks. Forman & Field, launched in 2002, is considered by top food writers as the country’s leading supplier of fine food by mail order and online. The company is regarded to be a pioneer in quality seasonal British Foods, including such delicacies as three-bird roast, fine ham, cheese and desserts, such as culinary masterpieces f r o m Nadell’s chocolate cake selection. Forman & Field’s parent company, H. Forman & Son was founded in 1905 by Harris Forman, great-grandfather of present owner, Lance Forman. Regarded to be the UK’s oldest and best-known salmon smoker, H. Forman & Son is the choice of top chefs and hotels in London and around the world, including the Dorchester, Sandy Lane, Barbados, Fortnum & Mason, and Waitrose. About Forman & Field: Forman & Field was established in 2002 as a national home delivery service for private customers wanting to order H. Forman & Son’s fish as well as gourmet foods f r o m other speciality producers. They are widely regarded as the country’s leading supplier of fine food by mail and online order. EPR Food & Beverage News is a new blog, part of EPR Network, that is going to be focused on and will be covering the food & beverage news and stories from press releases published on EPR Network.